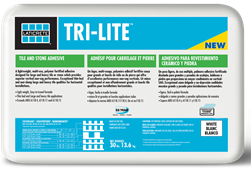 Tri-Lite is an ideal adhesive mortar for three of the most common tile and stone installations. This combined with superior non-sag capability, an ultra-creamy consistency and unmatched workability, makes Tri-Lite a go-to product for many installations. A 30-pound bag of Tri-Lite provides the same coverage as a 50-pound bag of traditional mortar, so it’s both easier to transport and easier to trowel. The cutting-edge product exceeds ANSI A118.15, A118.11 and the ISO 13007—C2TES1P1 classification. Tri-Lite features excellent large and heavy tile (medium bed) performance and can be built up to ¾ inches thick without shrinkage. It is available in 30-pound bags (gray and white) and is a component of the Laticrete 25-year system warranty, which provides single-source protection for everything from the substrate to the grout. Fresh water connect system, just connect garden hose directly on the saw to by-pass pump. Rubber coated die-cast aluminum work surface provides on-slip material support. Tile carrier on stand to dry and store tile. 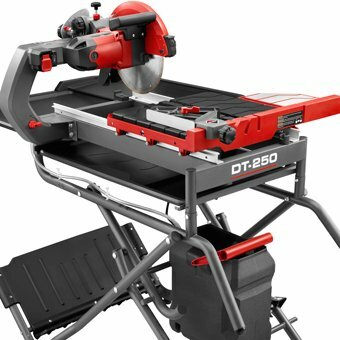 The 69-pound D24000S 10″ Wet Tile Saw allows a one person set up and transport. Stainless steel rail system is integrated into the tile saw frame, insuring accurate cuts. Rear and side water attachments can be placed on tile saw to catch over-spray from large tile to keep the water in the pan.The D24000S includes a 10″ Wet Tile Saw with a stand that folds for easy transporting and storage. 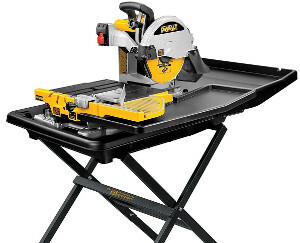 The stand holds the 69-pound Wet Tile Saw and provides an ideal work space. Stain Guard 5000 is suitable for use on unglazed tile, all porous natural and fabricated stone, most dense natural and fabricated stone (if water will soak into the surface), grout, and is specially formulated for granite, and marble. 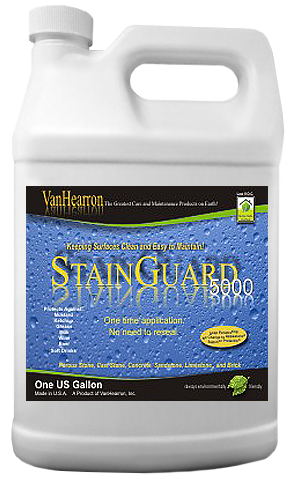 Stain Guard 5000 will repel a large variety of stains including ketchup, mustard, red wine, citrus stains, grape juice, soda pops, mild acids, dyes, and even graffiti. Stain Guard 5000 is a permanent impregnating seal and requires only one application for a LIFETIME.